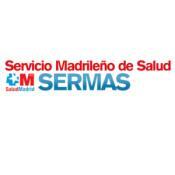 The organisation Servicio Madrileño de Salud (SERMAS) is the administrative and management structure that integrates every public hospital and every public health service of the Madrid Regional Health System. SERMAS, in the FP7 and HORIZON 2020 programmes, is the legal representative (beneficiary) of every public hospital of the Madrid Regional Health System. Usually SERMAS delegates authority to the Hospital’s General Director to manage the research project favourably evaluated by the Commission. In this project, SERMAS (beneficiary) is the legal representative of Hospital Clínico San Carlos and delegates authority to the Hospital’s General Director to manage research projects. The Hospital Clinico San Carlos (HCSC) was founded in 1787 and has served through the past two centuries to continuously improve health care, teaching and research in Madrid. The hospital was rebuilt in the 60s, reaching its present location, to adapt to the demands of a modern Madrid society. Currently the HCSC is a reference centre at national and international level for its facilities and its professionals. The Hospital has over 5,000 employees and 1000 beds, and is the main referral centre in the training of health professionals at the Complutense University of Madrid. The building has an area of 175,000 square meters. The head of the Cardiology Department is Prof. Carlos Macaya, who is leading a group of 32 physicians, many of them actively involved in several cardiovascular research areas including multicentre clinical trials and self-designed research. In addition, the group organizes and participates annually in international well-known educational activities (TEAM, EuroPCR). Prof. Antonio Fernández-Ortiz is currently director of the Interventional Cardiology and Coronary Care Unit. Hospital Clinico San Carlos has contributed in the FOCUS FP7 trial, using the CNIC-FERRER polypill, where Dr. Fernandez-Ortiz acted as PI and as a member of the Steering Committee. In addition, they have a wide activity in several cardiovascular research areas, they have served as National Coordinator for the PURSUIT, CASTEMI, PROTECTION-AMI, TIGRIS (Dr. Fernández-Ortiz), SINTAX II, FLAIR and ADVISE II trials (Dr. Javier Escaned). The Instituto de Investigación Sanitaria (IdISSC) of the HCSC is conceived as a structure of biomedical research excellence, which carries out multidisciplinary and translational research focused on basic, clinical, epidemiological and health services. The IdISSC is the result of the relationship between the SERMAS, (through the HCSC and other Specialty Care and Primary Care Centres of SERMAS), the Complutense University of Madrid (UCM) and the FIB HCSC. SERMAS will serve as the referral centre for the SECURE trial in Spain. Dr. Fernandez-Ortiz, PI at HCSC, will act as National Coordinator of the project in Spain. Antonio Fernández-Ortiz, Prof., M.D., PhD, PI and National Coordinator Spain. Antonio Fernández-Ortiz is currently an Associate Professor at “Universidad Complutense” in Madrid. Since 1994 he has been working as Interventional Cardiologist at HCSC; since 2002 he has been director of the Coronary Care Unit; and since 2012 he is director of the Interventional Cardiology Unit in the centre. He is a Fellow of the European Society of Cardiology, member of the Spanish Society of Cardiology, and member of the Working Groups of Thrombosis, Acute Cardiac Care and Interventional Cardiology of the ESC. Since 2012, he is Chairman of the Working Group on Ischemic Heart Disease of the Spanish Society of Cardiology, and between 2010-2012 he was the national representative of the Spanish Society of Cardiology for implementation of the Guidelines of the ESCA. He is author or co-author of over 131 original papers in peer-review scientific journals, and over 22 chapters in books with and overall impact factor of 756,473 and h-index of 36. He is member of the editorial board of the “Revista Española de Cardiología” and collaborator for several international scientific journals. Dr. Fernández-Ortiz received his MD degree (1985) from the “Universidad Autónoma” in Madrid, and his PhD degree (1992) from the “Universidad Complutense” in Madrid. He performed his training in cardiology (1986-1991) at HCSC and he was granted by “Fondo de Investigación Sanitaria FIS” to perform a research fellowship (1992-1993) at Harvard Medical School in Boston, being appointed at the Cardiovascular Biology Lab of the Massachusetts General Hospital directed by Prof Fuster. He has a master (2005-2006) on Integrated Health Services Management at ESADE Business School in Madrid.